I made money by losing weight!!! Being a family with one full time income (with £250 per month of that is spent on fuel for commuting) , it can be a struggle to make money stretch far enough when large unexpected bills come in. I always have to plan in advance and gradually build up enough to cover predicted expenses. My daughter Jess and I are off to York in October to take part in the Plusnet Yorkshire Marathon. Expenses related to this will be travel and accommodation and a few months ago I booked us a couple of nights at the Premier Inn in York (the night before and the night the event after as there are hardly any trains on Sunday back down to Nottingham). I figured I could look at it as a weekend break and enjoy a day in York the day before too! 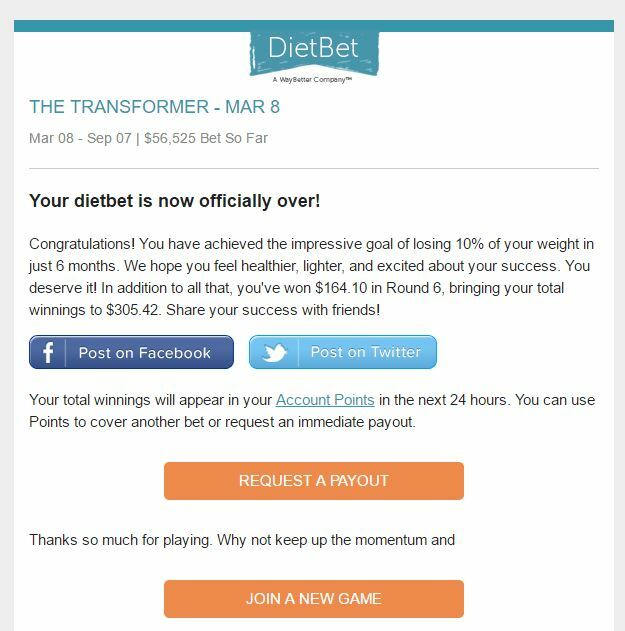 I’ve been taking part in a 6 month Transformer ‘DietBet’ which essentially is a website where you invest a month amount of money (in this case $25) and you have to achieve weight loss goals over a long period of time. 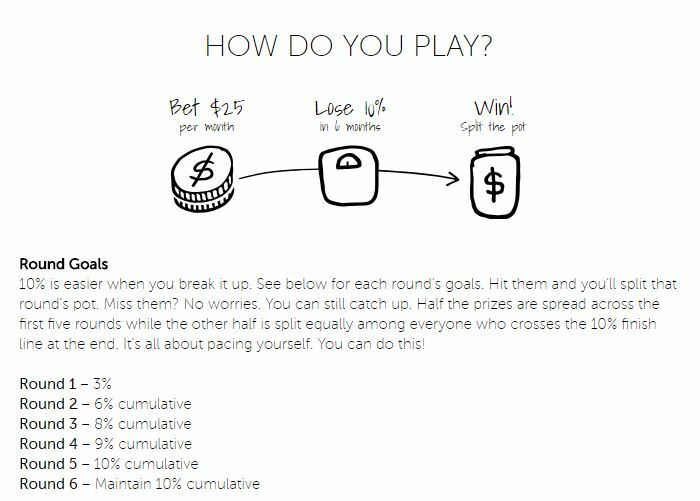 My total investment with the 6 month Transformer was $150 and yesterday, because I had successfully reached all my goals and maintained in the last month, I shared the winners pot and have come away with $305!!! I’ve kind of used it as a way of saving and as an encouragement to lose weight with the AIM to cover our hotel expenses during the Marathon and feel very happy that this has been achieved!! So $305 converts to £230 which covers our hotel bill and pays for breakfast for both of us for two days during our stay! Just thought I’d tell you about DietBet incase you were interested in having a go and making a bit of extra pocket money!! My hoodie is too big and that is a good thing! I shan’t deny that the last few months have been quite the struggle with my weight hovering between 245 – 255 lbs. I’ve been working hard recently, walking and jogging and eating more ration book style than I had been doing and consequently my weight is on it’s way down again. FOUR WEEKS TO THE PLUSNET YORKSHIRE MARATHON! 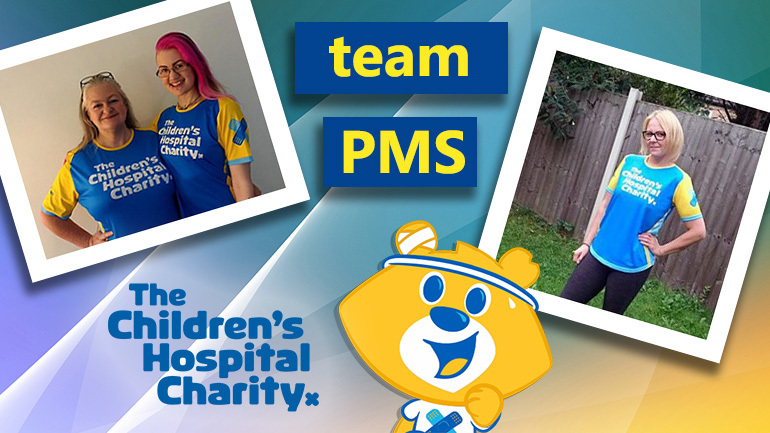 Yes, we ( my work colleague Alicja, Jess my daughter and myself) are doing another Marathon, this time to raise money for the ‘Sheffield Children’s Hospital’. Despite being a bit lighter in weight this time around, I am struggling because I have to knock 1.5 hours off my previous time to finish the course in 7 hours (which is the cut off point). Most weekdays Jess and I are out hiking in the evening and climbing hills. At weekends we are walking (and jogging a bit) longer distances at a faster pace. It’s really hard work. If I was 50 lb lighter it would be so much easier! BUT it’s a great cause and really want to try and raise money for this charity so we will persevere and give it our all! If you’d like to donate some spare change through our team charity giving page we’d really be ever so grateful!